Discussion in 'Staff Applications' started by Twobros2, Apr 1, 2019. Location and Timezone: California, United States. Pacific Standard Time. Languages you can speak: My main language is English, but I do understand and speak a little Spanish. Do you have any other accounts? : I do not own any other accounts. 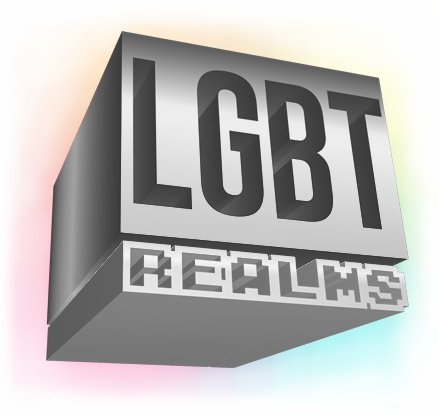 Why do you want to be staff on LGBT Realms? : I would like to apply for helper role and plan to stay as helper to, of course, help and aid other players on the server if they have any questions or any advice. I want to be a reliable person that people can count on for anything they need help on. Do you have any staff experience? : No, this will be my first time applying for any staff on any server. Why should we choose you to be staff? : I'll try my best to be active on the server as possible, try to be involved in the effort that is put into this, and to have more power to be more helpful to players. In your opinion, what are your weakest attributes? : I think my weakest attribution would be not being able to talk on discord to often since I cannot always be available to talk, but I will be able to text. Another weak attribute of mine is not being able to be online every single day, but at least 2 times a week due to school, but now that summer is coming, I will definitely be on everyday. If someone came on the server and started making racial slurs, what would you do as a staff member? : I would first screenshot evidence of person making racial remarks, then, if I had power to, I would mute them, then wait for the okay for ban. If someone breaks a rule and doesn't listen when you tell them to stop/warn them, what do you do? :I will ask for another staff member to help in the situation to see if they will listen to them too. If not, we will decide on either warning, muting, or banning if we have to. Is there anything else you want us to know about you? : I really enjoy this server, and people have suggested for me to apply for helper. Shout out to phatxox, hecken, and Nerdy_Cockatiel. I'm also an honor roll student in school and in a music band club I partake in afterschool.